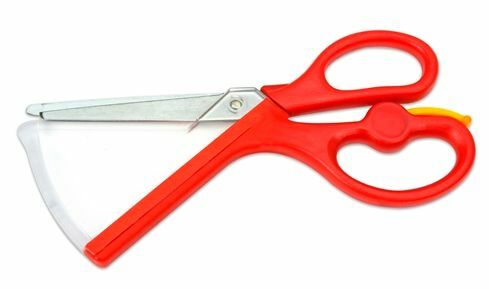 The Ultra Safe Scissors, with the permanent safety shield, make it impossible to cut yourself. My older kids tried believe me. The paper inserts in between one blade and the safety shield and there is no room for anything else to fit. It was a tight fit for my 2.5 year old, as she is still learning fine motor skills. 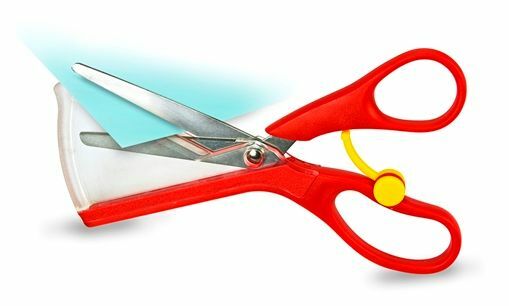 It is recommended for ages 3 and up, and as she gets used to them I think she will be fine cutting on her own. I had to insert the paper for her on several occasions so she could cut. They are nice and sharp, and she liked that she didn't have to struggle to get a cut. The 3 grip development training kit is perfect for my 2 year old as she is learning to write and needs to have a correct hold on her pencil. She is starting with The Crossover Grip which has a 'super hero cape over the fingers to keep her from crossing her fingers to the other side. She does hold it correctly with this grip but I think she preferred the Pinch Grip. Step 2 is The Pinch Grip, that gives just a smaller covering over the fingers, letting the writer see that their fingers are positioned correctly. I think for my 2 year old she did need to see where her fingers were at. Each child will be different and though there are 3 steps, you need to start with the one most comfortable for your child. She was able to get in and do some fine details with The Pinch Grip. Step 3 is the original Pencil Grip which I have been using, as it gives great comfort in writing, especially if you write a lot like I do. It is the graduate Pencil Grip tool. 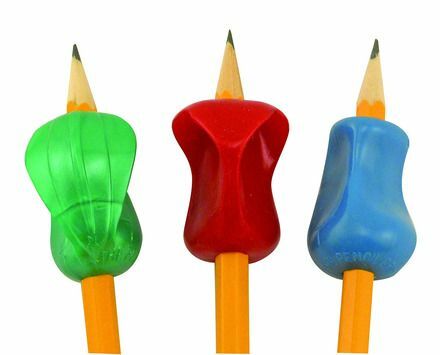 All of the Pencil Grips are latex and phthalate free. They do help with comfort and control for both adults and children. Each grip works for left or right handed writers. These work great for toddlers, and for those who need an extra grip in their writing. Would be perfect for a Sunday School Class or Day Care facility. Find The Pencil Grip, Inc. on these social media sites.